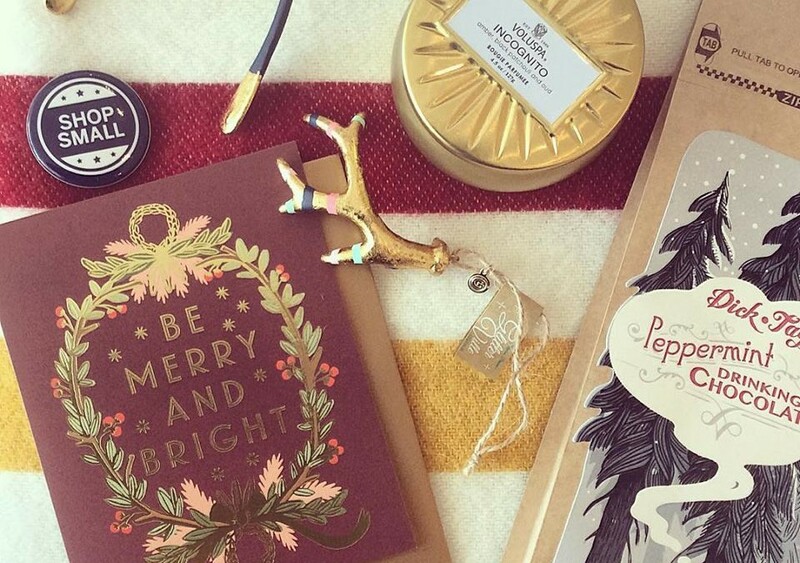 I'm looking forward to Shop Small this year, because it was so successful for our shop last year, and we have so much fun meeting new people and greeting our locals, too. The Mendocino Coast Chamber of Commerce in Fort Bragg on the northern coast of California is promoting a local version of the popular annual nationwide Shop Small Saturday event sponsored by American Express, on November 25, with more than 25 local merchants already signed up to participate. Welcome centers for the event will be headquartered in two locations: Town Hall in Fort Bragg, and locally owned grocery Harvest Market in Mendocino. Both welcome centers will open at 9:00 a.m. on Saturday. Shoppers can visit the welcome centers to enjoy refreshments, pick up a map to all participating merchants, get a free shopping bag, and snap photos with holiday elves. Shoppers will then fan out into the streets in both towns and stop into local boutiques and retail shops to pick up their shop small cards from merchants and enter to win a variety of gift baskets stuffed with merchandise donated by participating stores. Purchase not necessary to get the cards, but the hope is that people will find something special for their holiday shopping, and even come back again during the month of December. 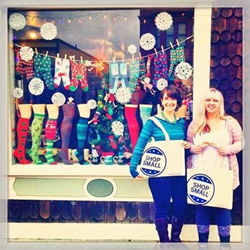 This year's theme, "Show Love, #Shop Small," segues perfectly with a "Love it" campaign that will be promoted on the Mendocino Coast Chamber and Visit Fort Bragg Facebook pages. Everyone will be encouraged to press the "love" button instead of the like button on posts about the event and show their support of shopping in friendly, local boutique businesses instead of big box stores. All the businesses on the shop small map will hand out Show Love #Shop Small cards all day Saturday, and customers will be eligible to win a wide array of prizes donated from varied businesses like Gallery Bookshop, Point Cabrillo Lighthouse, Pippis Longstocking, The Outdoor Store, Astoria, ER Energy, Wren's Boutique, Reynolds Menswear, Interior, The North Coast Brewing Company, The Front Porch, Blacq Door, Whistlestop, Fractalize, Understuff, Dot and Twine, Partners Gallery, and many more. Local merchant Laura Augusta is excited about this year's event. She's already donated a shopping bag full of prizes from her elegant home store, The Front Porch. " I'm looking forward to Shop Small this year, because it was so successful for our shop last year, and we have so much fun meeting new people and greeting our locals, too." The chamber of commerce is encouraging all participating local merchants to take photos of key items in their shops and post them on Instagram and Facebook with the campaign hashtag Show Love, #Shop Small so that everyone participating in the event has an opportunity to boost their individual presence and draw more people into their stores. 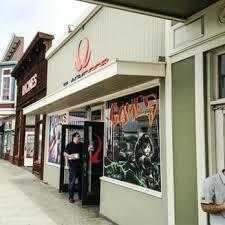 The event is open to all small businesses in Fort Bragg and Mendocino, whether or not they are chamber members. The goal of the promotion is to encourage both locals and visitors to stay away from big box stores, and enjoy the nostalgic experience of small town shopping without all of the traffic, crowded malls, and stress many people experience as they begin shopping for the holiday season. Local merchants in Fort Bragg and Mendocino are ready to welcome customers and provide excellent service with a friendly "home town" feeling. The Mendocino Coast Chamber of Commerce serves the Mendocino Coast from Westport to Gualala, CA. Their Mission Statement: To promote, support and improve the business and economic climate within its citizenry, and encourage a stronger sense of community.